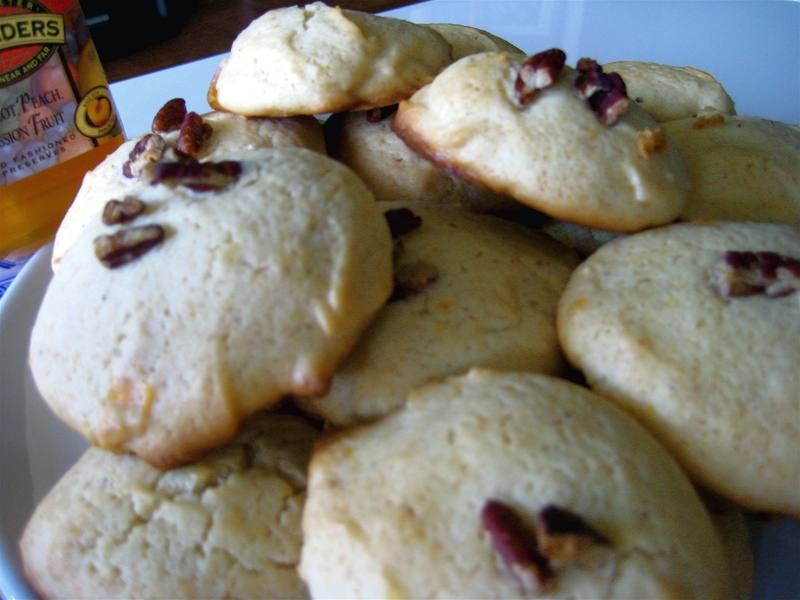 Buttery Jam Cookies – Voila! Tomorrow we’re having a potluck picnic at work. I wanted to bring something tasty but easy on my part. I was perusing food blogs and found a goldmine! ‘The Canadian Baker‘ offered this little diddy and they’re delicious! I amended the recipe a bit, but the original is here. These are fluffy, moist (and not too buttery) cookies that could really well with an afternoon tea. I used apricot passion fruit jam, but I would love to experiment with blackberry or raspberry or a mixed fruit preserves. 5. Add milk and vanilla, mix away! 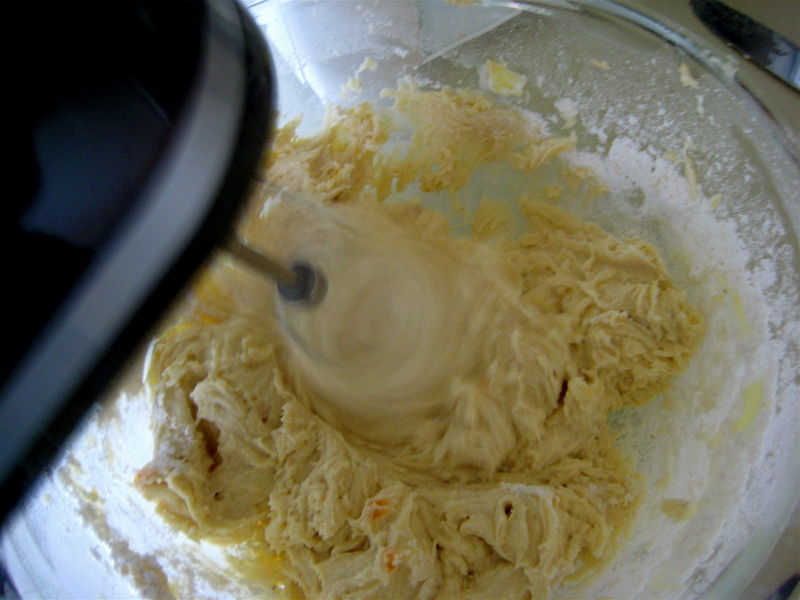 Batter may look likes it curdling, but it’ll smooth out with the addition of the jam. 9. Bake for about 10 minutes, until golden brown around the edges. The tops won’t become golden brown (if they do — take them out! ), but they’ll be spongy and slightly firm to the touch. And voila, they’re ready to be savored and devoured. Post-baking thoughts: The original recipe said this batter would make 45 cookies, but I must’ve made them too big because I ended up with about 20. But even those 20 can be eaten in 2.5 bites. Like I said earlier, I would like to try other jam/preserve flavors. Any other thoughts if you tried the recipe? Emily, I just stumbled across your site [in the process of getting my own blog going] read a post and watched a video- you are adorable! I know you probably do this for fun but the video part seems to come very naturally [also recognized James, which seems creepy to say but regardless]. Keep this up! I’m a third year student at Texas A&M, and my fiance makes an issue out of my embarrassing lack of culinary prowess. Hey Courtney! Glad you found my blog, it’s definitely a very fun hobby for me. I try to post a few times a week. What’s the link to your blog? Thanks for the NTTL shout out! I made these cookies but used “Wild Huckleberry” jam (from my source in the state of Washington) and also used walnuts on some of them. They taste really good but I was a bit disappointed that they were flatter than yours look.